"The Light over London is a poignant reminder that there is no limit to what women can do. A nostalgic, engrossing read." "Kelly weaves an intricate, tender, and convincing tale of war and romance with skill and suspense." "Readers who adore a richly detailed period piece will be immediately drawn in by the world of The Light Over London. Julia Kelly has delivered her most elegant effort yet: a deeply rewarding and moving novel." 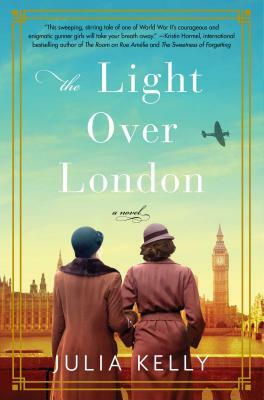 "Historical fiction fans won't be able to wait to get their hands on Julia Kelly's The Light Over London....fans should bookmark [it.]" "Kelly doesn’t disappoint us–and readers will be engrossed in Louise’s story of love and war juxtaposed with Cara’s present discoveries...We root for both Louise and Cara, understanding their fears, hopes and chances."